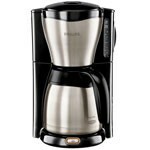 Philips HD 7546 - the powerful coffee maker, drop type who offers super fast preparation of coffee – in 9 minutes. 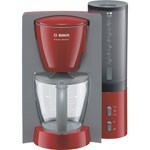 BOSCH TKA 6024 – the coffee maker of drop type executed in attractive, gray-red design provides all functions and features for convenient preparation of coffee. 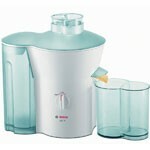 The new universal Bosch MES 1020 juice extractor will prepare for you the real vitamin cocktail rich in microcells and useful substances. 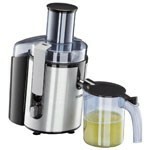 The Philips HR juice extractor 1861 of the anodized aluminum is equipped with the unique steel microfilter and the 700 W strong motor. 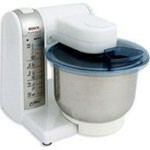 The Bosch company took care of that the minutes spent behind preparation of culinary masterpieces for the family brought huge pleasure. 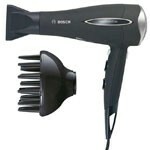 Rowenta CF 9220 - for laying, as at the stylist. 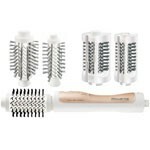 Automatic rotation of a brush - drying and hair dressing at the same time. Faultless appearance almost free of charge! The class, style, the personality are reflected in a hairdress. Beautiful hair demand leaving, and they will be grateful to you for careful attitude to themselves. 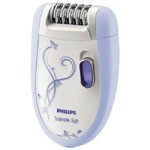 The epilator of Philips HP 6507 will provide ideally smooth, as if silk, skin for some weeks. 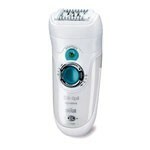 Silk-epil of a series 7 Wet & Dry is an epilator of new generation which will help you to get rid of the outdated stereotypes connected with an epilation forever. 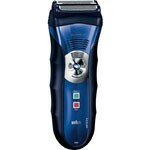 Derive pleasure from the smooth and pleasant beginning of day with the new Series 3 razor from Braun.